At the beginning of 2014 we decided to replicate the hugely successful Greenhouse model within Israel through an innovative new program targeting Jewish and Arab women documentary filmmakers. At a time when intolerance and discrimination are unfortunately on the rise, there is an urgent need to foster mutual understanding and build bridges between the Jewish and Arab communities. 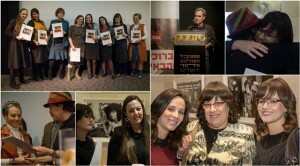 We have chosen to focus on women filmmakers because women in Israel still face significant social and economic barriers to becoming successful documentary film directors and producers, especially women from vulnerable and marginalized groups. The program brings together 12-16 talented female filmmakers from diverse religious, ethnic and cultural backgrounds, and supports them in the development of compelling documentaries that amplify women’s voices about important contemporary and social issues. 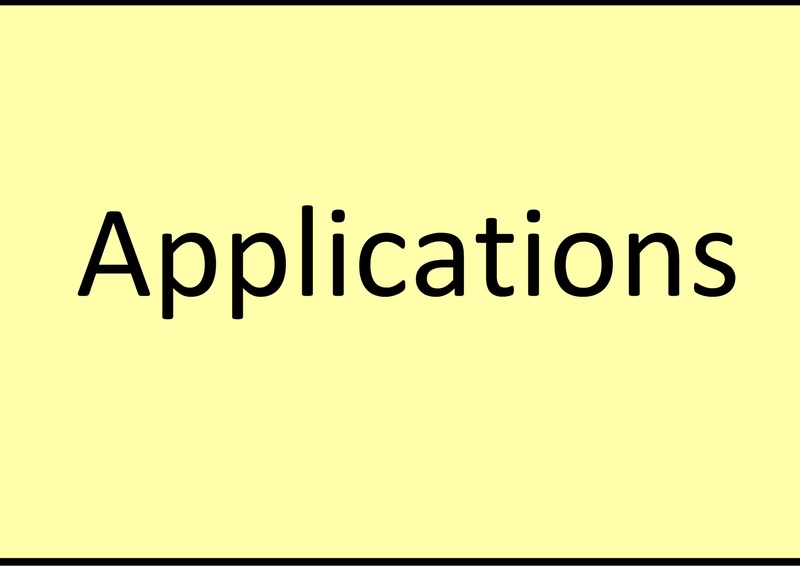 The one-year program includes three 5-day residential workshops spanning a period of eight months. 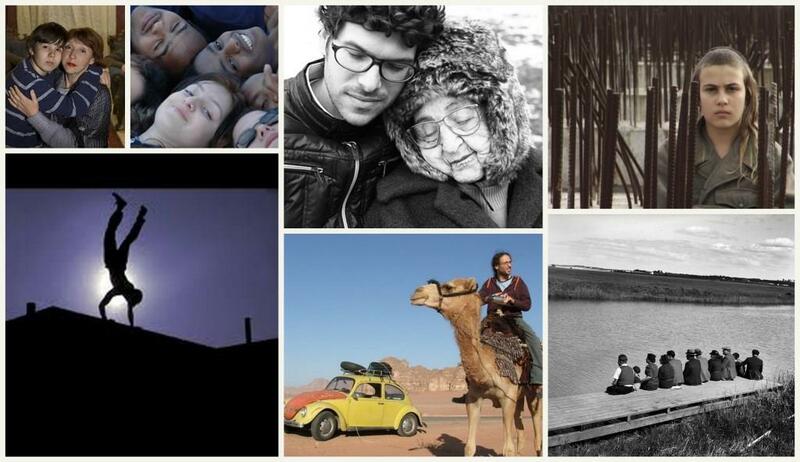 The participating Jewish and Arab filmmakers are enriched by the cross-cultural dialogue, cooperation and community-building fostered through the program, which profoundly influences their work. Each of the participants receives individual and continuing support from one of three dedicated mentors who are themselves leading figures in the field of documentary film-making in Israel. The workshops enable the filmmakers to deepen their understanding and respect for each other and build bridges among women filmmakers committed to peace and social change. The program has so far yielded six completed films: Wall/Moran Ifergan (winner of the Best Documentary Award at the 2017 DocAviv IFF); Fence Your Best/Liat Mer; In My Room/Ayelet Albenda (winner of the Best Soundtrack Award at the 2017 DocAviv IFF); Stains/Katy Diakova; The King of Borek/Orit Ofir Ronell; A Perfect Housewife/Jane Bibi (winner of the Jury Award at the 2018 DocAviv IFF). Now in its twelfth year, the Greenhouse Development Program for Documentary Filmmakers from the Middle East and North Africa is a groundbreaking initiative positioned at the intersection of cinema, social change and peace-building. The program seeks to nurture a diverse community of documentary filmmakers from across the Middle East, committed to dialogue and possessing the necessary skills to create powerful films. Since its inception, Greenhouse has trained more than 200 filmmakers from the region, empowering them to use film as a catalyst for creating more open and just societies. Greenhouse films, such as On the Way to School, A Film Unfinished, Dolphin Boy and the Academy-Award nominated 5 Broken Cameras, explore a rich diversity of social issues. 40 Greenhouse films have been completed to date, and most of them have premiered and won awards at prestigious film festivals throughout the world. NFCT’s Ultra-Orthodox Women Film Program is an annual documentary film course for Haredi women who want to become filmmakers. During the course these women gain the necessary cinematic tools and skills to create personal documentary films which can capture and represent their community. They can use this training to make a living and support their families. The program empowers these women and enables them to return to their communities as agents for social change. The project has so far had three successful cycles. The program takes place in Jerusalem and the participants mainly come from Jerusalem and the surrounding area. The project takes place over the course of one academic year, at the Ma’ale Film School in Jerusalem. The faculty consists of a team of lecturers and mentors from Ma’ale and the NFCT. Most of the films produced by these women are shot in their community, as well as other locations relevant to the films’ concepts. The premier of the films takes place in Jerusalem at the prestigious annual Jewish Film Festival at the Jerusalem Cinematheque, every Hannukah. Launched in 2006, the NFCT’s Business Card Program for Emerging Filmmakers is a leading initiative designed to nurture new talent in documentary filmmaking in Israel. The program offers personalized mentorship and resources for promising film school graduates looking to develop their film projects and successfully integrate into the film industry. Hundreds of films have been developed through the program, many of which have gone on to win awards and garner widespread acclaim. Two recent examples of outstanding films that were developed through the Business Card program are Home Movie, which won the Best Documentary Award at Docaviv in 2012, and Life in Stills, which won the Ophir Prize for Best Documentary in 2012. Today we confront an alarming escalation in anti-Semitism and racism in Europe, as well as genocide and threats of genocide in other parts of the world. The NFCT is committed to harnessing the power of cinema to enhance knowledge and understanding of the unprecedented tragedy of the Holocaust to ensure that the memory of those who suffered is preserved across time, and to encourage individuals of all backgrounds and ages to reflect on the important lessons to be learned for today. 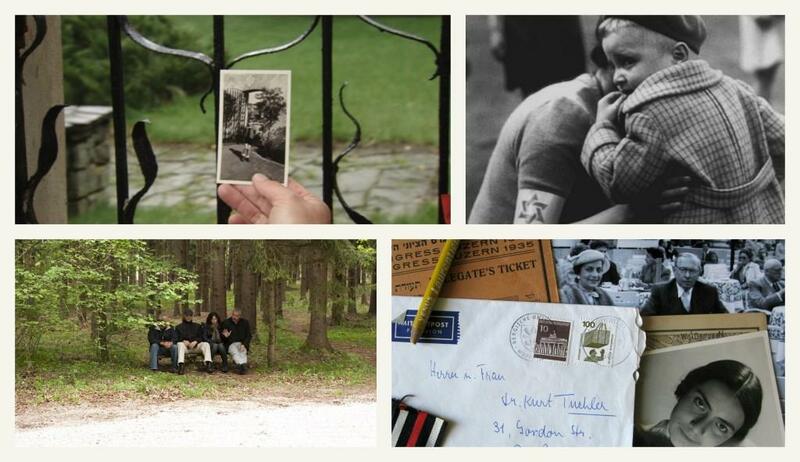 As the final generation of Holocaust survivors and eyewitnesses dwindles, we believe that we must do whatever we can to capture, preserve, and circulate their stories to ensure that the powerful message behind their legacy never disappears. The Holocaust Historical Preservation Film Program is an important project run by the NFCT, through which we support new documentaries related to the Holocaust. 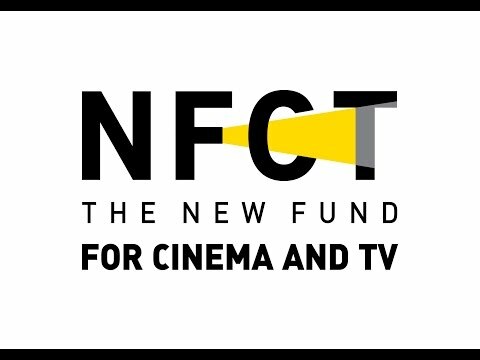 In addition to financial support, the program provides the selected filmmaker(s) with ongoing professional support from the NFCT’s team, including experienced and renowned documentary filmmakers. Dozens of films within our portfolio explore themes and stories related to the Holocaust, illustrating the NFCT’s impressive track record of facilitating the production of truly outstanding and memorable films that commemorate the Holocaust. A selection of these award-winning films include The Flat (2011), by Arnon Goldfinger; Six Million and One (2011) by David Fisher; Hitler’s Children (2011), by Chanoch Ze’evi; and A Film Unfinished (2010), by Yael Hersonski. The Jerusalem Film Workshop (JFW) is a transformative opportunity for young Jewish filmmakers from around the world to engage with the diversity and complexity of Jerusalem, Israeli Society and Jewish identity. A partnership between the NFCT and Onward Israel with world-class Jewish festivals, international Jewish communities and the Israeli film industry, JFW is a six-week program led by professionals, who are passionate about the power of film to strengthen Jewish engagement, connect people with Israel and inspire social change. During the course of the program, the filmmakers work in groups to produce five short documentaries about Jerusalem that are screened as part of the Jerusalem Film Festival and in the international festivals we collaborate with. The program is described in this link, a broadcast on i24news. The unique atmosphere and character of Jerusalem can be difficult to convey to those without first-hand experience of life in the city. A microcosm of Israeli society, Jerusalem’s cultural and ethnic diversity is set against the backdrop of a challenging social reality that can be difficult to comprehend and connect with, from afar. 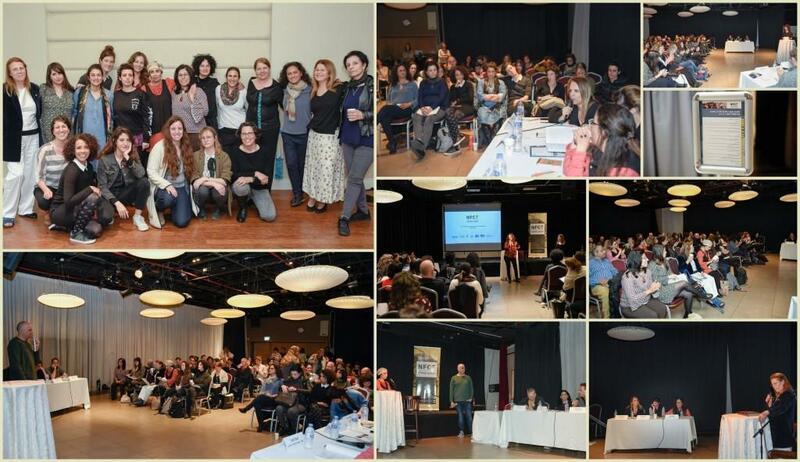 The Jerusalem Film Workshop seeks to capitalize on the powerful tool of film to engage international Jewish communities with Jerusalem and Israel in a meaningful and thought-provoking way. Using the medium of film, the uniqueness, complexity and beauty of Jerusalem can be captured and explored in a powerful, nuanced and experiential way. Through film, there is potential to reach thousands of people, who otherwise, have limited opportunities to connect with Jerusalem, Israeli society and their own Jewish roots. The JFW believes in the power of the documentary filmmaker as a social change maker. This program provides the knowledge required for up-and-coming filmmakers to learn about the complexities of Jerusalem, and to bottle what they see into powerful films. Participants in this program become ambassadors not only for Israel and Jerusalem, but are also armed with new skills to continue making documentary films and sparking social change through their future documentary work. Click this link to hear what participants from all over the world experience. In 2018, JFW has partnered with prestigious Jewish and Israeli film festivals from around the world to recruit the best, upcoming filmmakers from their communities and sponsor their flights to Israel. On their return to their communities, JFW graduates and the partnering film festivals will screen the films produced during the Jerusalem Film Workshop and will run creative, educational programming within the wider community to explore the issues raised by the films. Additionally, the JFW team works throughout the year to distribute the films created during the workshop and to bring at least one of the students to the screenings and hold a Q&A session after the film screening. The NFCT’s Home-Delivered Script-Writing Course is aimed at writers and filmmakers with physical disabilities. In principle there should be nothing stopping a writer with a physical disability from studying script-writing in a regular course near his/her home. But in reality, he/she faces two problems: Firstly, script-writing is a unique expertise that in Israel is taught mainly in Tel Aviv. For people living outside the city and its immediate surroundings, this poses a transportation problem, often requiring a lot of logistical preparation and a chaperone, which of course diminishes the student’s sense of independence. Secondly, many buildings in Israel are sadly still inaccessible to the physically disabled, not having elevators for example. All these obstacles can prove very difficult, especially when trying to attend a course that is made up of many meetings and sessions, not just a one-off event. 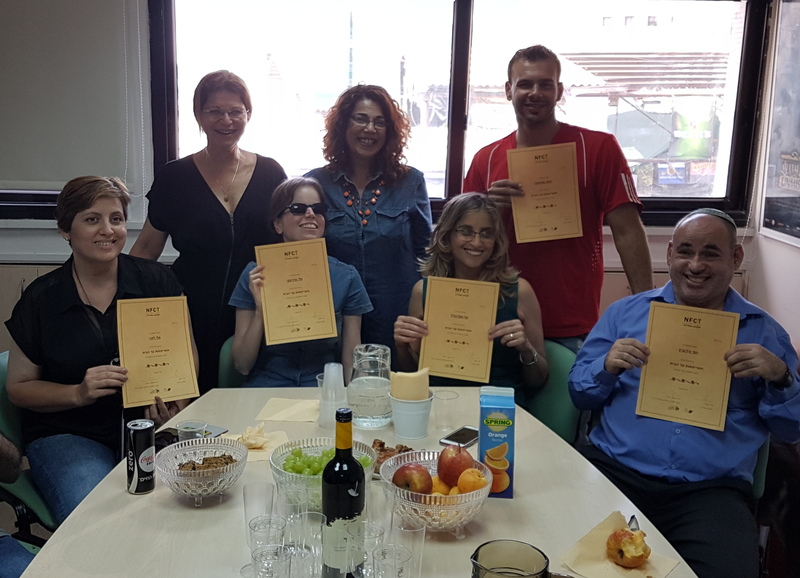 Until we initiated this program, there were no online script-writing or film-making courses in Israel geared towards people with physical disabilities. We recognized this need, and decided that this would be the best way to finally enable scriptwriters working from home to get the mentorship and assistance they need in order to develop their stories into worthy scripts that can then go on to the next stage and become short films. The aim of the course is for each participant to complete it with a script for a 10-20 minute-long film. The NFCT staff and course instructor then select the top two participants in the course for one-on-one mentorship with a well-known and experienced scriptwriter, who helps them to further develop their script and hone their writing skills. At the end of the course the participants are invited to a special closing event, along with their chaperones, if needed. At this event they get to meet each other and the team in person, for the first time, receive certificates that they have completed the course, and learn who will gain the opportunity to work with a one-on-one mentor to further develop their script into one that is ready for production. Our ultimate goal is to find funding partners who share our passion to nurture these artists and help produce the best scripts into completed films, which audiences in Israel and around the world will be able to see and learn something about these artists’ internal worlds.